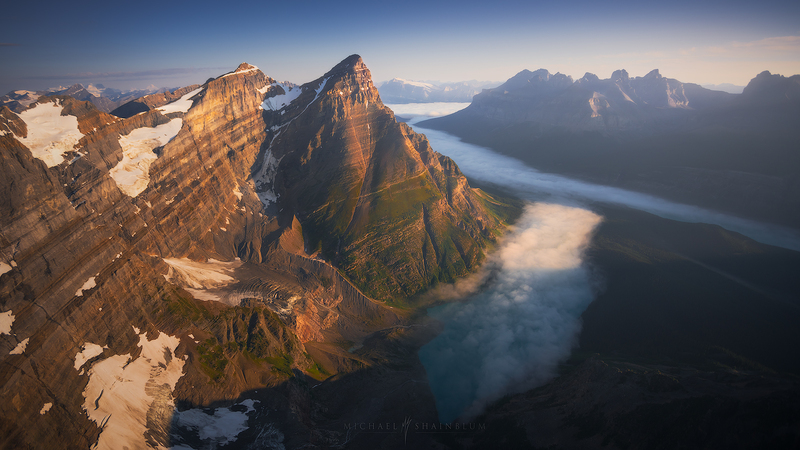 Banff National Park Canada aerial photography and landscape photography by Michael Shainblum. 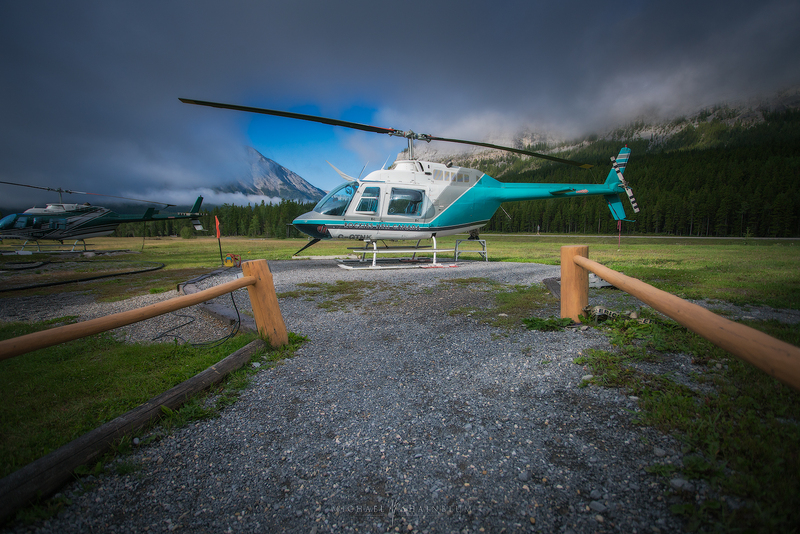 Banff National Park and Jasper National Park are two incredibly beautiful areas to shoot Landscape photography. However taking a helicopter above these areas really put things into perspective. 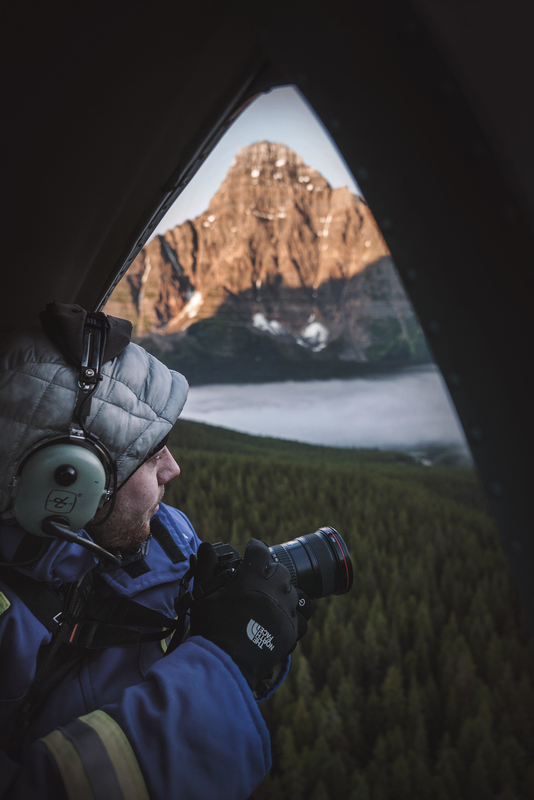 During this sunrise shoot my friend Andrew and I got to experience these giant peaks from above. With an added touch of magic, a low hanging layer of fog. Here is a collection of my favorite images from the flight. It was by far my favorite memory from this trip. 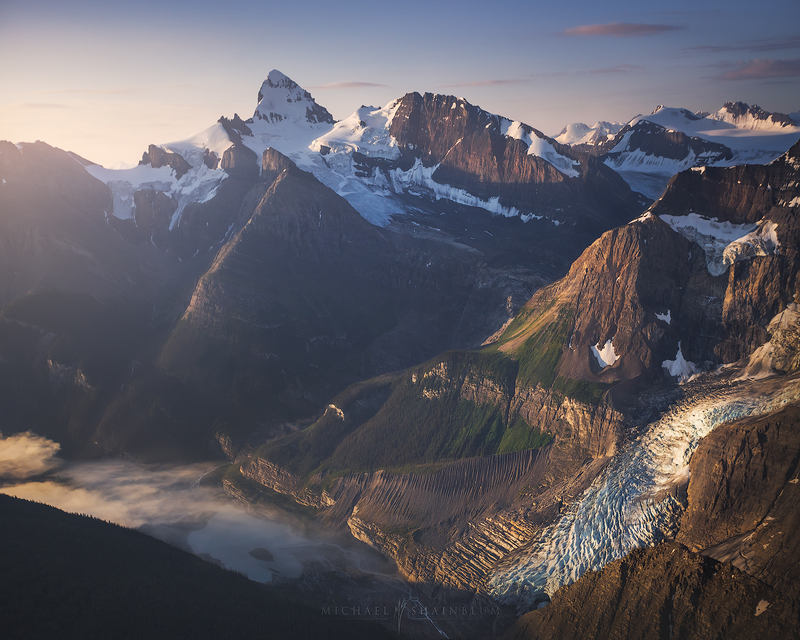 Mount Chephren quickly became one of my favorite mountains in Canada and a main focus for many of my images. The river of fog masking Ice field’s Parkway made this scene really special. Aerial abstract forest in Canada. 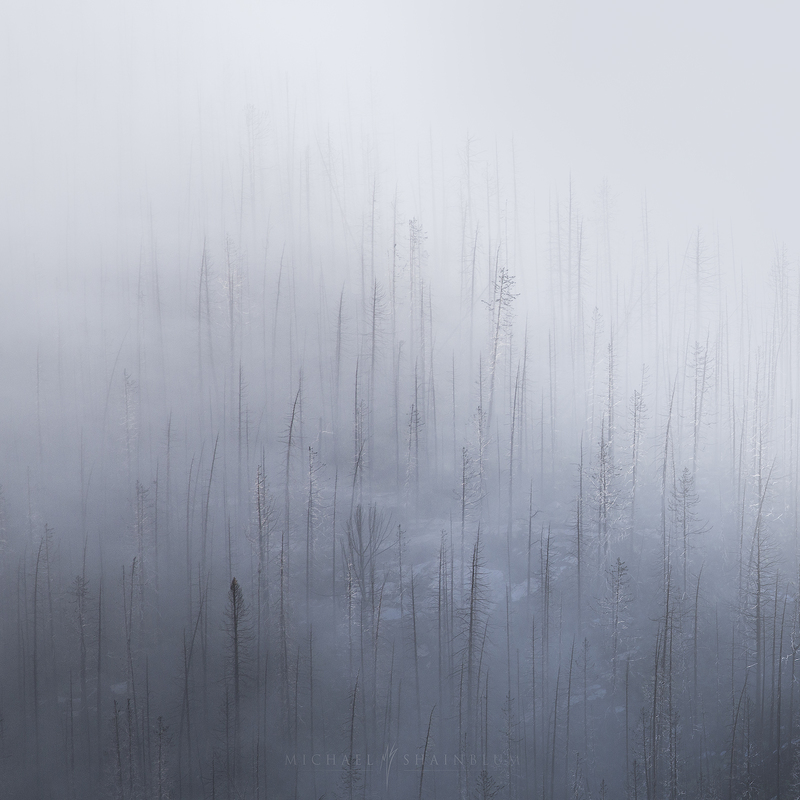 The bare trees of a wildfire made for a very spooky scene with the fog. Quite different from the emotion and the mood of the other images. 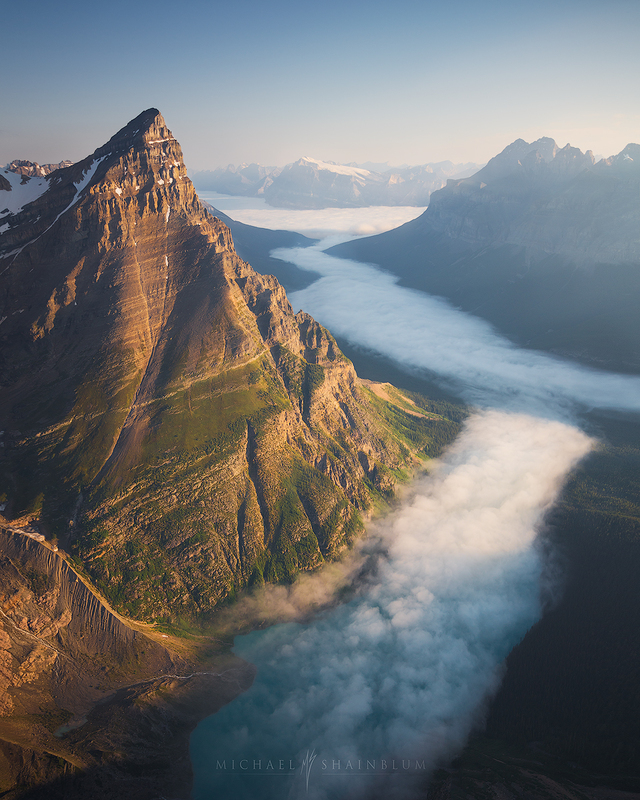 Fog aerial image over the Canadian Rockies. 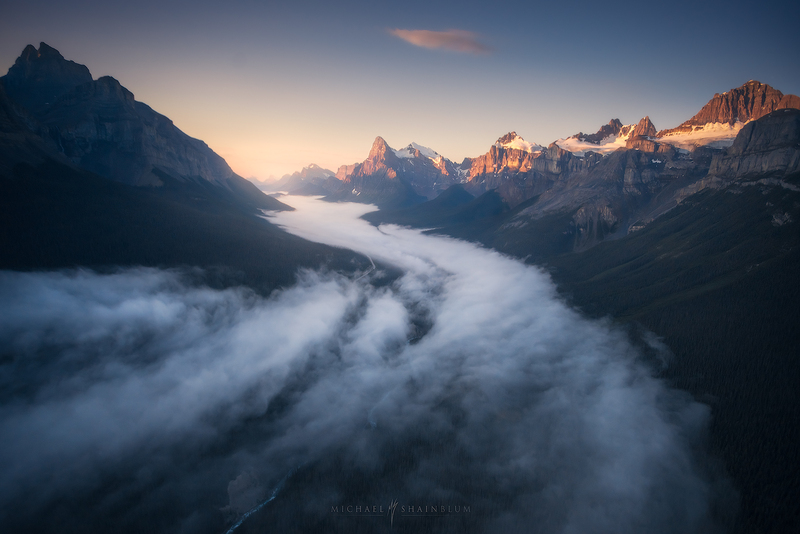 A winding ridge peeks out of the low fog bank in this panorama view. 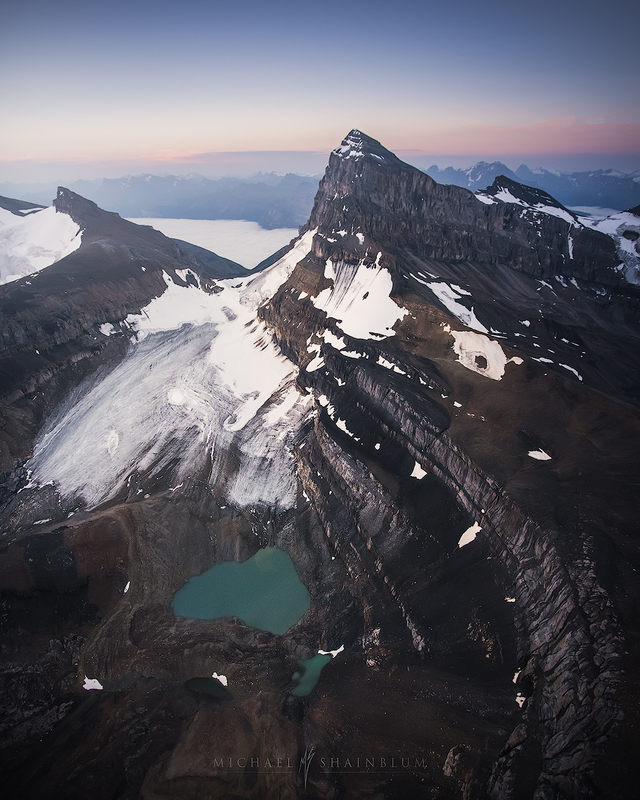 Canadian Rockies, aerial sunrise photo. Pastel colors filled the sky above these beautiful mountain peaks. 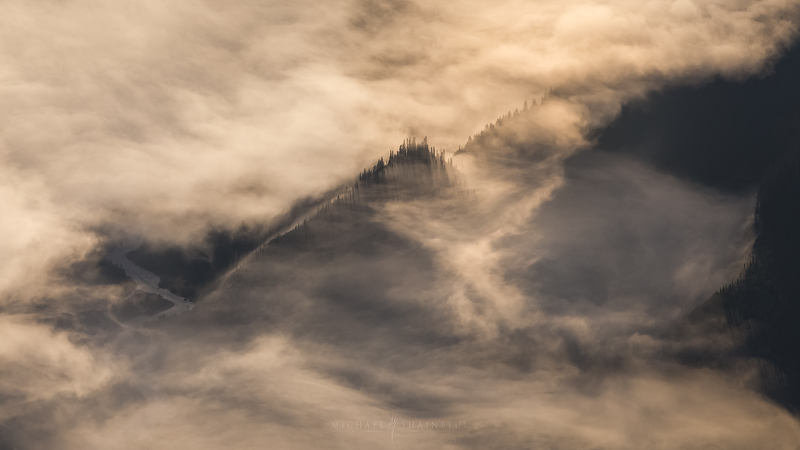 I loved watching the warm light spill onto the cliffside and glacier textures. 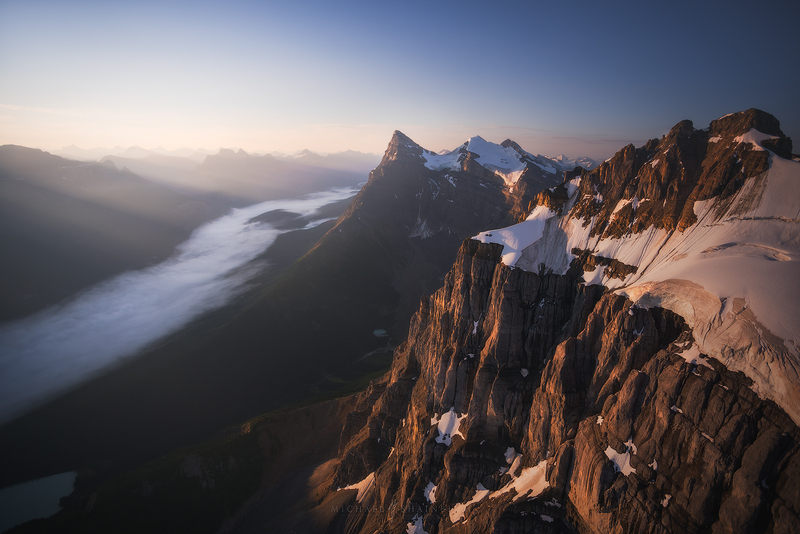 Canada aerial photography at sunrise. Seeing these massive cliff textures from above gave a very unique perspective. Seen with Mount Chephren and lightrays in the distance. 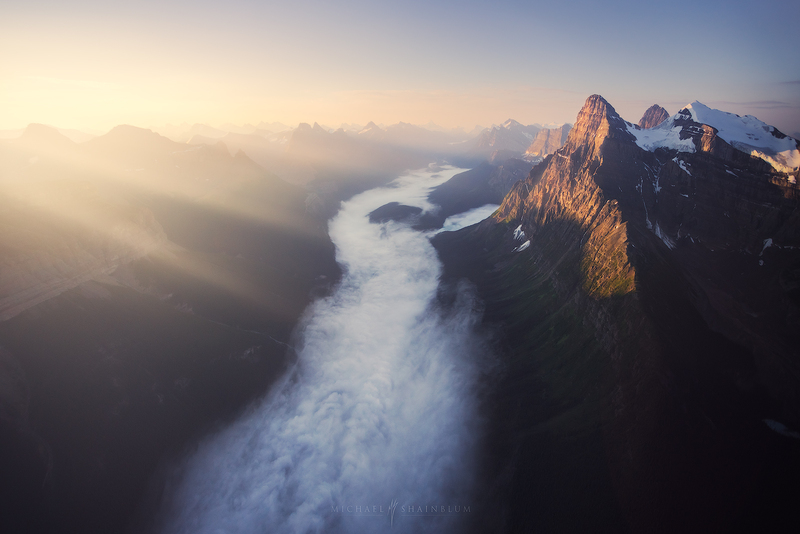 Light beams and a river of fog, Canadian Rockies. One of my favorite aerial images from the trip, during the peak of sunrise. Light rays filled the valley spilling warm light all onto the mountain peaks. Another favorite image from my aerial photography series. Taken during early sunrise at Ice Fields Parkway. The swirling fog formations were unbelievable. Here are two more photographs from the trip. 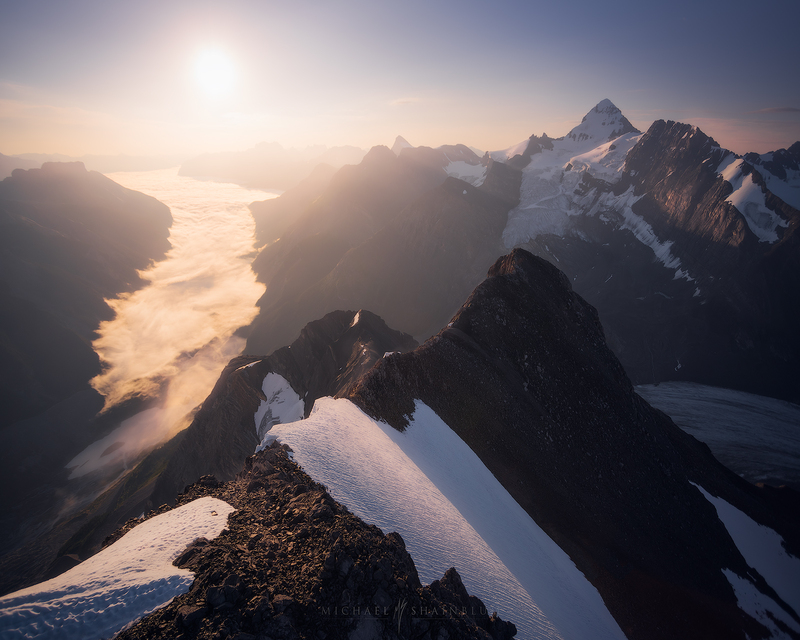 The first image was taken before sunrise at a glacier, high above the valley. 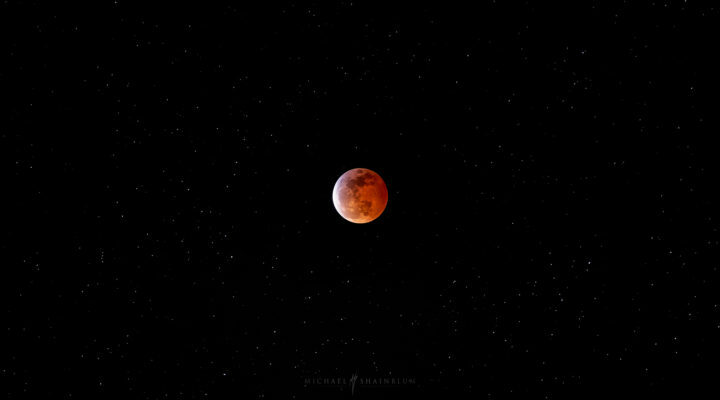 This second image is an alternate angle from the first image of the series. 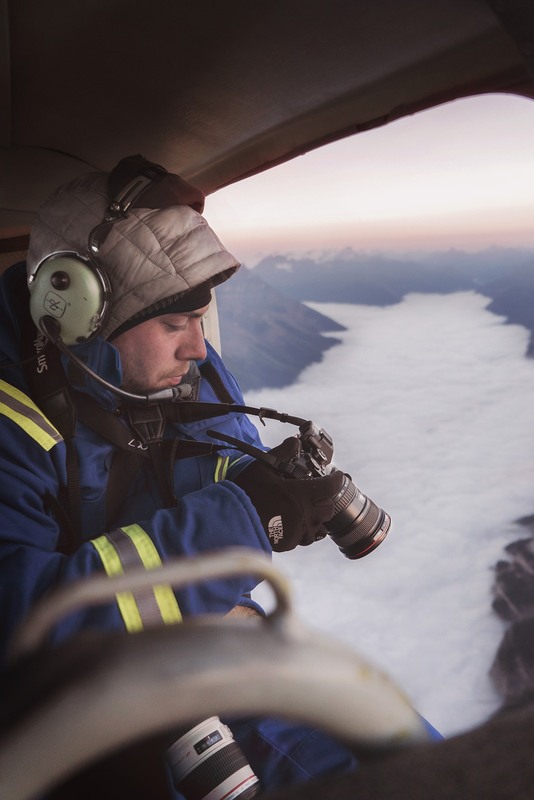 Here are two awesome behind the scenes shots that my friend Andrew got of me during our helicopter flight. Here are two behind the scenes photos from the flights. 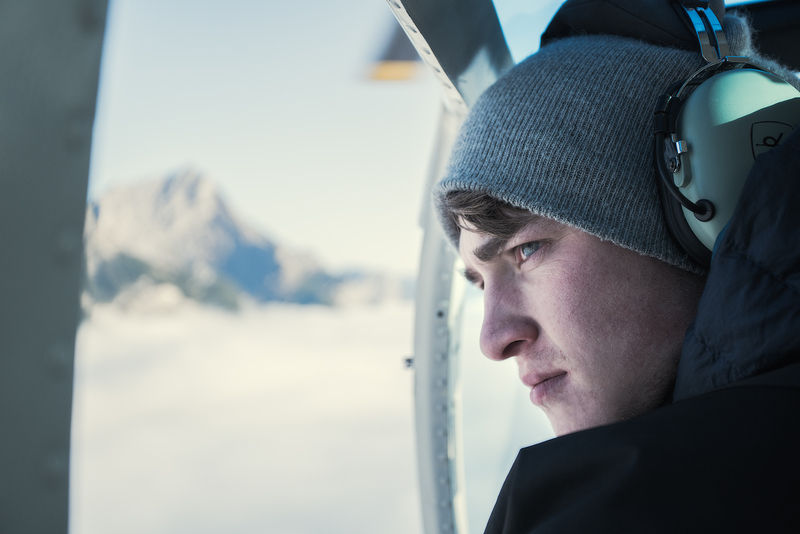 One image of my friend Andrew looking out of the helicopter. The other image was taken right after landing. I hope you all enjoyed this Canada landscape photography collection, Stay tuned for a new Dolomites mountain series coming soon. I can’t wait for my next travel around Canada next year and your photos are the best inspiration for me. Thanks a lot for sharing your job.